There are many free web based file hosting services.The most popular one is Dropbox.It offers many great features including 2 GB of free space.There are similar services like Spideroak,SugarSync etc. The best part about these free file hosting services is that they use cloud computing to enable users to share and synchronize files and folders across the internet.Hence these services are called Cloud Storage. In my college when there are many users simultaneously accessing the internet, downloading files becomes a pain.Many times there are restriction on files downloads.It would have been nice if there was a option to download files on the web directly to my DropBox or other free cloud storage accounts.I can then go home and download the files from my DropBox account. Another advantage of downloading files from cloud storage account is that you get very good speeds. Here are 5 useful webapps or service which help you save or download files on the web directly to your Cloud Storage. This is the best and my favourite free cloud storage service.Fetch.io allows you to download files directly from torrents,file sharing websites at very high speeds.Fetch.io supports all of the popular download sites such as MediaFire, Rapidshare, MegaUpload, and even protocols such as Bittorrent.This service gives you 2GB of storage and 4GB of bandwidth. You like to download things and you don’t like waiting a long time for them. AND STREAM THEM INSTANTLY, FAST. In my college all popular file sharing websites are blocked.So I use Fetch.io download the files from these blocked file sharing websites. SideCLOUDload is a webapp that sends files from the Web to your Dropbox account without forcing you to download them first. Enter the URL of the file you want in your Dropbox account, your dropbox credentials, and if you like you can rename the downloaded file or provide a download directory in your Dropbox account. 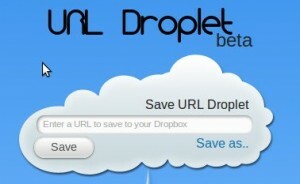 URL Droplet is webapp similar to SideCLOUDLoad.It download files from the web directly to your DropBox account.It uses OAuth to connect to your DropBox Account.Login and paste the link to the file to be downloaded to your DropBox account. Adrive has a feature called Remote File Transfer which allows you to download and save files from the internet directly to you free Adrive Cloud Storage Account. Remote URL File Transfer Now you can instantly transfer files from external websites to your ADrive account remotely. Once stored in your account, the file can be downloaded or shared. Cloud Save is addon for Google Chrome which allows to you download files to your cloud storage accounts.It supports Dropbox,SugarSync,Skydrive and many other cloud storage services.You have enter your login details while saving to your cloud storage account. Send to my Cloud and drag2up are similar extensions for Firefox and Chrome. Really helpful post… Thanks a lot….